This piece is about 22 printed pages long. It is copyright © Paul Scott Derrick and Jacket magazine 2010. See our [»»] Copyright notice. It isn’t easy to give an accurate assessment of the work of a living poet. Nor is it, perhaps, advisable to try. So many trees in the woods seem overwhelming when we’re standing right beside them. We need to have the benefit of distance to judge how tall they really are. [… ] some people who are inarticulate, and cannot say why they like a poem, may have deeper and more discriminating sensibility than some others who can talk glibly about it… . Even the most accomplished of critics can, in the end, only point to the poetry which seems to him to be the real thing (Eliot: 17, 18). We need to take this idea seriously because, as Whitman already knew in 1855, doing so directly affects the way we understand our relationship with the so-called outside world. And this, in turn, leads us to a deeper question, one that addresses perhaps the most essential quality of human being: where does authentic language — speech that reflects most deeply on what we are and tells us what we need most desperately to know about ourselves — come from? This statement conjures up echoes of both Whitman and of the Emersonian ‘Oversoul’. Not many contemporary poets would wish to be thought of as ‘Romantics’, but a profession such as this places Berengarten directly in the central stream of the modern (and postmodern) Romantic tradition. The sea, the mountain-ridge, Niagara, and every flower-bed, pre-exist, or super-exist, in pre-cantations, which sail like odors in the air, and when any man goes by with an ear sufficiently fine, he overhears them and endeavors to write down the notes without diluting or depraving them (Emerson: 992). Aren’t these “pre-cantations” another name for what Berengarten refers to as “layers higher than the conscious mind”? I hardly mean to suggest, though, that Berengarten is an antiquated throwback to the nineteenth century. The issue is more complex than that. I might just as well argue that Emerson was a ‘conceptual sling-shot’ into the twenty-first century (which would, in fact, be closer to my intentions). What I do want to say, and to illustrate with Berengarten’s, is that even though most of us refuse to acknowledge it, we are still in our time dealing with the core issues raised by our Romantic predecessors. The universe is as separate from me, but as intimately part of me, as one on whose behalf I contest, and who therefore wears my colors. We are in a state of ‘romance’ with the universe… ; we do not possess it, but our life is to return to it, in ever-widening circles (Cavell: 193). This is what I hear in Richard Berengarten’s poetic speech: an affectionate, marvelling, reverential response to the world that we inhabit and have no choice but to learn how to love. And this is why it seems to me that ‘The voice in the garden’, that celebration of self-possessed surrender, could be read as a defining statement for entry into Berengarten’s work. As Emerson wrote in 1844: “I know not how it is that we need an interpreter, but the great majority of men seem to be minors, who have not yet come into possession of their own, or mutes, who cannot report the conversation they have had with nature” (Emerson: 985). This poem makes such a report. It traces original language back to its sources in the abiding silence of Being, and it lets the world pronounce itself through the poet’s voice. What is moving in Lalić’s complaint is his fear that the voice in his mind may come from the dead, which is a feeling we can sympathize with. Most of us in this culture are afraid of ghosts, afraid of whatever death may have to reveal, afraid of death itself. But the speaker of Berengarten’s poem has listened more keenly. There seems to be a paradox here. The song is “unearthly”, yet it also emerges from the garden: “woven out of the silences, the pauses / gaps and gulfs between perfumes, colours, movements”. What, then, are these ‘empty spaces’ in the texture of the world? The suggestion, I believe, is that Being contains non-Being, that the All contains the Nothing, or that the living world is pervaded with death. Here we come close to Heidegger’s concept of ‘nihilation’ [Vernichtung]. In the essay ‘What Is Metaphysics?’  he deploys this term to explore what he considers the most essential quality of Being: the fact that everything-that-is is constantly disappearing. The ceaseless flow of nature, of which we form a part, can be thought of as a process of ‘de-becoming’. In Heidegger’s understanding, a sudden recognition that everything, including ourselves, is forever pulling away into nothingness, induces an unsettling sense of alienation from the world, that is, a sense of the world’s essential ‘otherness’, which causes the emotion of dread [Angst]. I suggest that this is one way to appreciate the feeling that Lalić so strongly expresses. However, thinking through the emotion of dread offers the opportunity to comprehend Being in its wholeness. That irrevocable process of disappearance can also be understood as the source of language, since we use our words and the concepts they express both to ‘lift’ the multiform constituents of the world out of the amorphous flow of Being and also to prevent the totality of what-is from sinking into oblivion. Language is what ‘delivers’ the world, all that we can know, from the flux of Being into ex-istence. inside us, in the song. This is its sense. If art is our ultimate access to truth, then the ultimate truth may ‘engendered’ in the ‘womb’ of death. This is one of those core issues of Romantic thinking. Once science had made Christian beliefs about the afterlife untenable, the Romantics gradually came to realise that they needed to reformulate the concept of death in Western culture. Consequently, one of the fundamental elements of the Romantic (re)turn to nature was the effort to re-conceive both life and death as aspects of a single, larger phenomenon, that is, as intimately related facets of an endless, flowing process. Yet all is LIFE throughout creation’s range. Freneau was a victim of his own time, caught between the Age of Reason and the rising tide of Romanticism. Both his thinking and his poetry suffered as a result of the competing pulls of these two very different ways of thinking the world. Reattaching things to nature and ‘the Whole’ entails a re-conceiving of logical dualities. The ultimate logical opposites are our ideas of life and death. This is why it is so hard for us in the West to accommodate a holistic paradigm. Yet that is the final burden of ‘The voice in the garden’. As we have seen, the song in the poet’s head, which also becomes and is the poem, is both unearthly and earthly. It comes into language out of silence. It carries a message to the living from the dead, and will speak through the living to the not-yet-born. One of the points, if not the main point, that the poem communicates is precisely the need to bridge this kind of logical paradox. ‘The voice in the garden’ speaks in words that propagate the wholeness of Being. Where does language come from? How do we assimilate the phenomenon of death into a post-Christian system of thought? I propose that we are still involved in the long and complicated process of resolving these two problems that the Romantic thinkers only began to articulate for Western culture. ‘The voice in the garden’ elegantly addresses them both, and therefore takes us one step further along this alternative — or recessive — line of Western thinking, or, as Heidegger often described it, this particular “pathway” through thought. Language speaks as the peal of stillness… the very nature, the presencing of language needs and uses the speaking of mortals in order to sound as the peal of stillness for the hearing of mortals. Only as men belong within the peal of stillness are mortals able to speak in their own way in sounds (Heidegger 1975: 207, 208). What better explication of ‘The voice in the garden’ — and of the poet’s voice — could we ask for? “The thinker utters Being. The poet names what is holy” (Heidegger 1970: 360). This kind of loving response to experience not only restores us to a healthier, more harmonious relationship with the world, it also breaks down our culture’s pre-conceived barriers between life and death. Berengarten deals with the same theme, on a much more personal and emotional level, in ‘May’ (For the Living 177–184). Responding to the exuberant, intoxicating life-force of spring, and in the company of his two young children, he feels the urge to burst into speech himself, and to make a poem for his son and daughter ‘out of’ the powerful scent of lilac in the garden. But, “borne on the lilac’s perfume, whispering through my mind”, he hears the voices, and music, of “ghosts” (For the Living 182) — the presences that Lalić seemed to be so afraid of in that other garden. In the midst of life, there is death. In the midst of all this joy, there is sorrow. The poem itself can be released only by expressing that muted “litany of sadnesses” (For the Living 182). Berengarten may be playing somewhat coy here; for “Fthah”, the key that turns the lock in the door of memory, may well indicate neither “There” nor “Flower”, but ‘Father’. The child’s first, imperfect word points the poet back toward the waiting ghosts of his own childhood, at once opening him to them and permitting them to speak through him, just as through his daughter’s eyes the garden itself now ‘opens up’ for them both. “Fthah”: the father’s presence waits to be unfolded from this word and to ‘flower’ through the poet into speech. What is calling through the joyful power of spring, and what the poem gradually uncovers, is the memory of Berengarten’s younger sister, Sarah, born deaf and dumb and blind. The effect of this on his father, Alexander, a cellist, was devastating, and apparently led to his untimely death. A transitory moment in the garden, a moment’s powerful emotion, is miraculously unfolded into speech and suspended out of time. Alexander’s cello plays from the grave through Richard’s voice, and its message of love and pain reaches Richard’s children, Lara and Alexander. This is the ‘meaning’ of Richard’s father’s art — and the poet’s own. This is what Richard, as a son, has to learn to accept, and then pass on to his own children: love, pain and death are all a part of the miracle of life. As ‘The Voice in the Garden’ tells us, “[e]verything, even suffering, is a gift” (Under Balkan Light 74). As Berengarten explains in the ‘Postscript’ to The Blue Butterfly, there was a specific — and very terrible — ‘order of things’ waiting to be dealt with by this extraordinary collection of poems: the massacre at Kragujevac, in central Serbia, in October, 1941. An odd occurrence inspired him during a visit to Kragujevac with his daughter on May 25, 1985. He describes that experience in the Postscript: “While we were queuing to enter the museum [that commemorates the massacre], a blue butterfly suddenly came to rest on the forefinger of my left hand — that is, my writing hand. Lara and I each had just enough time to take a photograph of the creature” (The Blue Butterfly 123). The Blue Butterfly accomplishes on a larger scale what has already been sketched out in ‘May’ and ‘The voice in the garden’. By dowsing and fathoming the “faintest sounds / that hatch through cracks of timelessness in time” (Under Balkan Light 74), in a place made sacred as a memorial to human injustice and human suffering, the poet once again becomes a channel through which the voices of the dead can speak both to the living and to the not-yet-born. If we can think of The Blue Butterfly as a culmination of this central line of development in Berengarten’s work, then I would also suggest that it might be considered as a culmination of a similar line of development in the ‘recessive’ Romantic component of Western culture, in which I locate Berengarten’s work. The book’s tightly-controlled structure and technical complexity plot out a maze-like design, (akin, perhaps, to the design on the wing of a butterfly) whose intricacies might be explored and unravelled for years. The Blue Butterfly is much more than either a poetic condemnation of all-too-human inhumanity or a moving commemoration of the suffering and nobility of the almost 3,000 victims of the Kragujevac massacre. When that blue butterfly settled on Berengarten’s writing hand, it called him to an even deeper task: to work his way into and through the labyrinth of horrors enacted in that place, to bring death back into the texture of life, and to try to restore the ‘wholeness’ of Being. In ‘What Are Poets For?’,  one of his most compelling discussions of the function of language within Being, Heidegger writes: “In the age of the world’s night, the abyss must be experienced and endured. But for this it is necessary that there be those who reach into the abyss” (1975: 92). In this essay, Heidegger is responding to the poetry of Rainer Maria Rilke. But everything he says in it might equally apply to The Blue Butterfly. Love, pain, and the relationship between the living and the dead are also Berengarten’s central concerns. Would it be too far-fetched, then, to propose that Berengarten’s poetry takes us one more step toward assuming the ownership of our own nature? The angel of the Elegies is that creature in whom the transformation of the visible into the invisible, which we are accomplishing, already appears in its completion… ; that being who guarantees the recognition of a higher level of reality in the invisible (Rilke 1987: 317). IN THE “ELEGIES” AFFIRMATION OF LIFE AND AFFIRMATION OF DEATH REVEAL THEMSELVES AS ONE… . Death is our reverted, our unilluminated, SIDE OF LIFE: we must try to achieve the greatest possible consciousness of our existence, which is at home in BOTH OF THESE UNLIMITED PROVINCES, which is INEXHAUSTIBLY NOURISHED OUT OF BOTH . . . The true form of life extends through BOTH regions, the blood of the mightiest circulation pulses through BOTH: THERE IS NEITHER A HERE NOR A BEYOND, BUT ONLY THE GREAT UNITY, in which the “Angels,” those beings that surpass us, are at home (Rilke 1963: 93). This is the same frontier between language and silence, rational knowledge and mystical revelation, life and death, that American Romantics such as Poe, Whitman and Dickinson often felt compelled to explore, and attempt to report on, in the nineteenth century. However, like Rilke, Berengarten goes even further in the attempt to reclaim a place for the abiding unknown within the human edifice of knowledge. The speaker is ushered across this final frontier in the seventh poem of section 5, ‘Diagonal’ (Blue Butterfly 70–72). Here, “in the shade of early evening / in a place I did not know, and yet recalled”, he encounters a mysterious female figure under whose spell of beauty he is drawn toward the a kind of revelation ‘… in the core of darkness / among the deepest terrors, you must face… alone, devoid of help from other men’. But this passage into the night must be made, as the final words of the poem reveal, in order to discover there “the secret source of day” (Blue Butterfly 70–72). the wind. I’ll rest in your hand while you’re dying. even one’s proper name like a broken toy. Ours is a culture that is threatened with many serious crises. This Romantic pathway back toward a different conceptual framework for death may offer us a viable way forward, a way to save ourselves from ourselves. Heidegger clearly believed that it did. What he found in both Rilke and Hölderlin only confirmed his own conviction that the gift of thought should be used to find our way through the confusion that we sponsor toward a harmonious and healthy relationship with the world of which our sponsorship forms a decisive part. Perhaps, Heidegger suggests, the ultimate implication of the initial Romantic impulse toward a holistic paradigm is that an acceptance of death is the key to wholeness. “Death,” he writes, “is what touches mortals in their nature, and so sets them on their way to the other side of life… Death thus gathers into the whole of what is already posited” (Heidegger 1975: 126). If there is indeed “a Hand to turn the time”, as Thomas Pynchon ambiguously suggests at the end of Gravity’s Rainbow (760), it just might be the hand of a poet like Richard Berengarten, that can draw a blue butterfly out of the sky, and write its silent, life-giving ‘message of death’ for all of us to hear. Baym, Nina et. al. (eds). 1989. The Norton Anthology of American Literature. New York & London: W. W. Norton & Company, Vols. 1 & 2. Berengarten, Richard. 2008. The Blue Butterfly (second, revised edition). Selected Writings 3, Part I. The Balkan Trilogy Cambridge: Salt Publishing. ———. For the Living: Selected Longer Poems 1965–2000 (second, revised edition). Selected Writings 1. Cambridge: Salt Publishing. ———. Under Balkan Light. Selected Writings 5, Part 3. The Balkan Trilogy. Cambridge: Salt Publishing. Buell, Lawrence (ed.). 1993. Ralph Waldo Emerson: A Collection of Critical Essays. Upper Saddle River NJ: Prentice Hall. Burns, Richard. 2005. The Blue Butterfly. Cambridge: Salt Publishing. ———. 2005. In a Time of Drought. Nottingham: Shoestring Press. Cavell, Stanley. 1993. ‘Thinking of Emerson’ in Buell: 191–98. Derrick, Paul Scott. 2003. “We Stand before the Secret of the World”: Traces along the Pathway of American Romanticism. Valencia: Biblioteca Javier Coy d’estudis nord-americans. Eliot. T. S. 1980 . The Use of Poetry and the Use of Criticism. London & Boston: Faber and Faber. Emerson, Ralph Waldo. 1989 . ‘The Poet’ in Baym et al. : 984–97. Heidegger, Martin. 1970 . Existence and Being (ed. Werner Brock). Chicago: Gateway. ———. 1975. Poetry, Language, Thought (tr. Albert Hofstadter). New York: Harper Colophon Books. ———. 1977. The Question Concerning Technology and Other Essays (tr. William Lovitt). New York: Harper Colophon Books. Jarrell, Randall. 1980 . Poetry and the Age. New York: The Ecco Press. Johnson, Thomas H. (ed.). 1979 . The Poems of Emily Dickinson, 3 vols. Cambridge MA: The Belknap Press of Harvard University. Limburg, Joanne. 1992. ‘Richard Burns’s The Manager: a poem for our time’. The Jewish Quarterly 49 (1). Pynchon, Thomas. 1973. Gravity’s Rainbow. New York: The Viking Press. Rilke, Rainer Maria. 1963 . The Duino Elegies. (trs. J. B. Leishman and Stephen Spender) New York: W. W. Norton & Company. ———. 1987 . The Selected Poetry of Rainer Maria Rilke. (tr. Stephen Mitchell). London: Picador. The rest of this modified sonnet is devoted to fathoming, and expressing, the wordless message whispered by the speaker’s scythe. Interview on The Manager, with Joanne Limburg, December 2001 (text provided by Richard Berengarten). For the feature written from this interview, see Limburg 2002: 17–23. In the essay ‘Science and Reflection’ (Wissenschaft und Besinnung, originally published in 1954), he writes: “We do not yet have reflection when we have only consciousness. Reflection is more. It is calm, self-possessed surrender to that which is worthy of questioning” (Heidegger 1977: 180). Was Ist Metaphysik?, originally published in 1929. [S]urely it isn’t inconceivable that the craft itself may well have its own purpose in working its way through the artist — not so much in order to ‘enable that artist to achieve’, but to enable the artist to become the channel (tunnel, tube, pipe for the delivery [deliverance, appearance, birth]) of the created ‘object’. Rumi’s hollow reed; the Aeolian Harp; the gong in the oaks at Dodona… Childbirth? Prophecies? Oracles? Or, according to Thomas Pynchon’s third Proverb for Paranoids: “If they can get you asking the wrong questions, they won’t have to worry about answers” (Pynchon 1973: 251). In Emerson’s case, ‘The Rhodora’; in Frost’s, ‘Design’. Wozu Dichter?, originally published in 1950. The butterfly flits in and out of the book, just as we might imagine it flying back and forth between this world and the next, appearing not only in the title poem, ‘The Blue Butterfly’, but also in ‘Nada: hope or nothing’, ‘The telling’, ‘Seventh wreath’, ‘Conversation between a butterfly and a murdered man at one of the gates of the Underworld’, ‘Signet ring’ and ‘Grace’. In ‘The Hollow Men’, l. 20. See, for example, ‘I felt a Funeral in my Brain’ (J280), ‘I died for Beauty’ (J449), ‘I heard a Fly buzz — when I died — ’ (J465), ‘Because I could not stop for Death’ (J712) and ‘This Consciousness that is aware’ (J822). ‘Ballad of the seagull’ occupies the identical intermediate zone between life and death (Blue Butterfly 42–44). 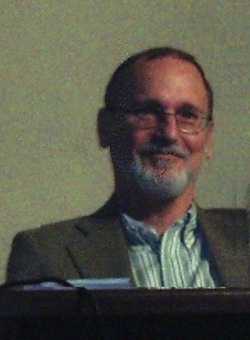 Paul Scott Derrick is a Senior Lecturer in American literature at the University of Valencia. His main fields of interest are Romanticism and American Transcendentalism and their manifestations in subsequent American literature and art. He has published two collections of essays in English and has co-authored a number of bilingual, critical editions of works by Ralph Waldo Emerson, Emily Dickinson and Henry Adams. He is also co-editor of Modernism Revisited: Transgressing Boundaries and Strategies of Renewal in American Poetry (Rodopi, 2007). His most recent book-length publication is La tierra de los abetos puntiagudos (Biblioteca Javier Coy, 2008), a translation and critical study of Sarah Orne Jewett’s The Country of the Pointed Firs.